Willie Revillame caught someone cheating during one of his games on "Wowowin!" Willie Revillame is recognized for hosting variety/game shows with names that typically work out and sounds alike with his name. 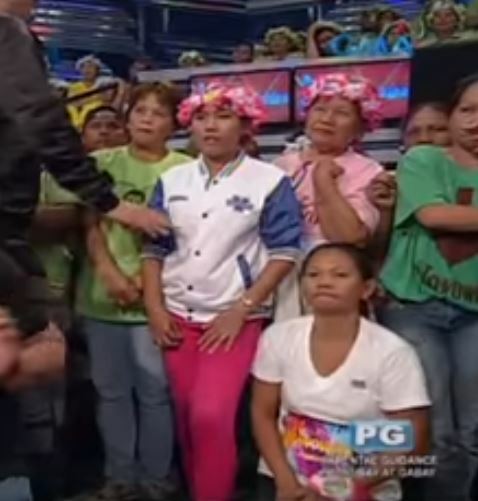 He is most well-known for hosting “Wowowee,” “Willing Willie,” and currently, “Wowowin.” “Wowowin,” is shown on the GMA Network and has been on air since May 10, 2015. 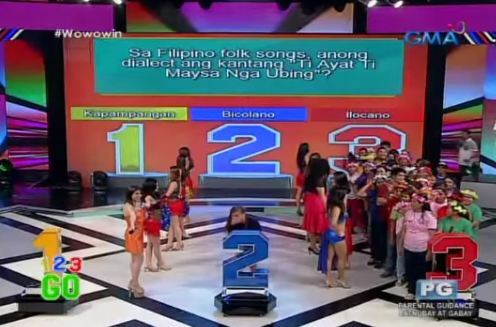 The program has a variety of various segments, including “Doobi Doobi Dap Dap Dance Challenge,” the “Willie of Fortune,” “Pera o Kahon,” “1-2-3 Go!,” “Su-pot o Datung,” and “The Will to Win.” These segments regularly include audience members playing a game to win prizes. 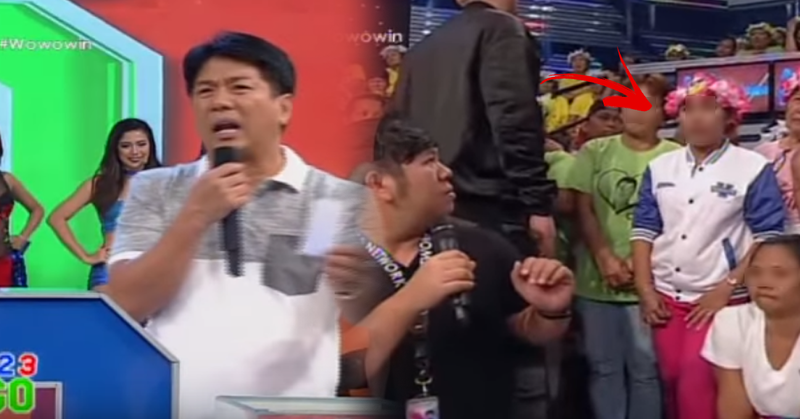 Recently, it was published by GMA News Online that Willie Revillame cut one of “Wowowin’s” game segments short after he found out that an audience member cheated. According to the news, the host mentioned that during the “1-2-3 Go!” game segment, an audience member put her name in the game box twice in order to boost her possibilities of being picked. A short video clip of this incident was posted to the official YouTube channel of GMA Network. The “1-2-3 Go!” segment is played every Tuesday and Thursday. 50 members of the audience are picked before the game begins. Gamemasters will then ask them multiple choice puzzles. To choose an answer, they line up after the number that agrees with their choice. Participants who pick any of the two wrong answers are instantly dismissed from the game. The last contestant who survive until in the final question takes home a grand total of ₱10,000 as the cash prize, along with a jacket and gift packs from the show’s sponsors. What happens when nobody reaches the final round of questions? Willie chooses a fresh batch of contestants from a box that contains names of random audience members. Now, this is how the cheating incident was revealed. In the viral video, a particular contestant grabbed Willie’s attention after she chose the answer that nobody else did. When asked why she chose her answer, she said, “eh wala pong tao rito eh!” This elicited laughter from the audience. She then got eliminated. After a couple more rounds, all of the contestants were eliminated. 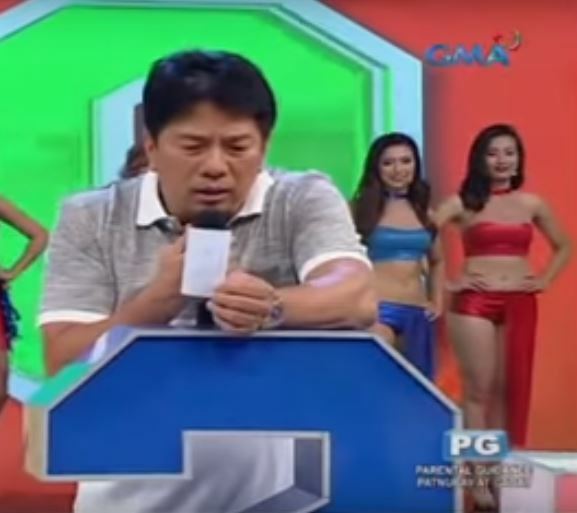 Willie Revillame then had to choose a fresh batch of contestants after all of the initial contestants got eliminated. He shuffled the names in the box, before picking one of them at random. After reading the piece of paper, he complained that he was unable to understand the handwriting. He jokingly said that it looked like a chicken wrote it. Eventually, Willie was able to read the name in the paper aloud. The camera then panned to the audience member whose name was called out. However, the participant was standing on the other side of the stage, where the initial contestants were. This means that the woman already played and has already been cut from the competition. Apparently, she wrote her name down twice in order to get a better shot at being chosen for the game. What happened after? Watch the video below to find out!